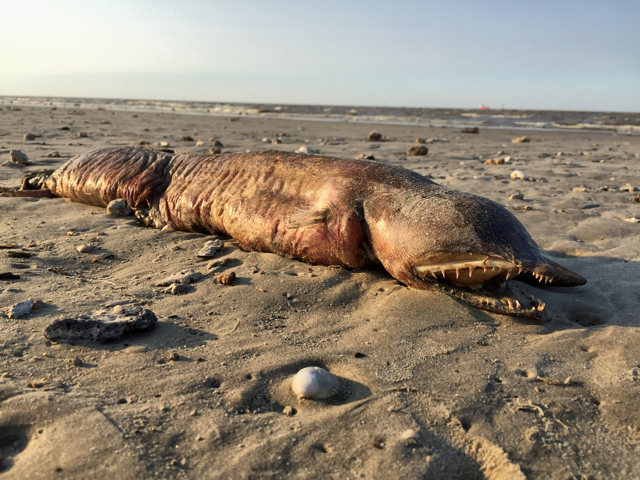 Science communicator Preeti Desai happened upon the decaying fish during a recent outing at a beach in Texas City. Viewing the serpentine silhouette from afar, she initially mistook the creature for a sea lamprey. But a closer look quickly changed her mind. "It was just so unexpected," she says. "When I saw the mouth I thought no way was it a lamprey. It looked like something that came from deeper waters. So I took a couple photos and put it out into the Twitterverse, figuring it would deliver. And it did!" The guesses came pouring in, but none of the proposed IDs initially fit the bill. Moray eel? It's similar in size and shape, but lacks the pectoral fins visible in Desai's photographs. Shrimp eel? It's much smaller than this strange find. So what is it? Several experts have weighed in on the mystery, and it seems this toothy creature is an eel in the family Opichthidae, a group also known as snake-eels. Fangtooth snake-eels inhabit waters between 30 and 90 metres deep, and spend most of their time tucked away in burrows. 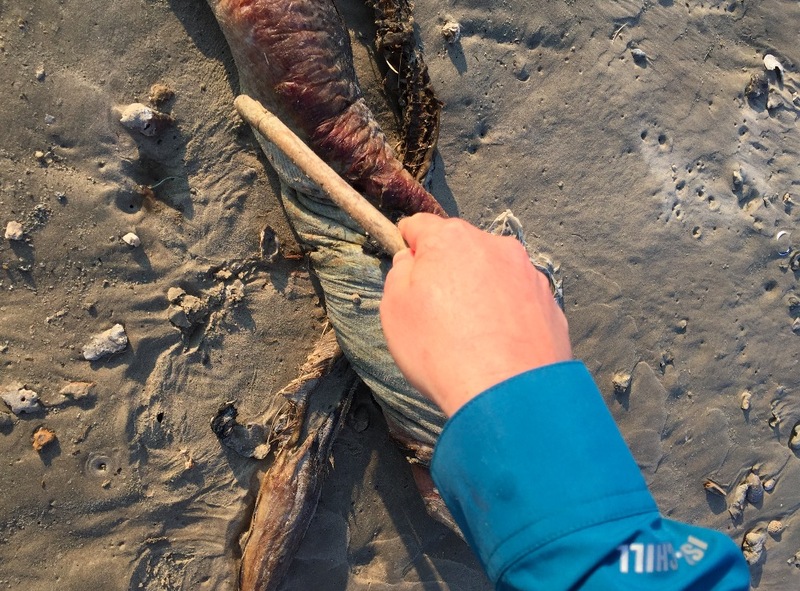 Exactly how and why this one washed ashore is not known. 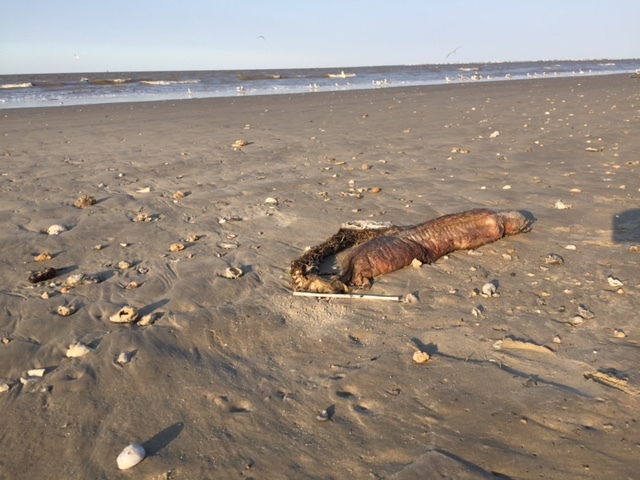 Given recent weather events in Texas, however, it's possible that rough winds and strong currents played a part in the animal's demise. The eels do occasionally venture into the shallows, so it's hard to say for sure. Tighe adds that the eel might belong to another family – the garden and conger eels, family Congridae – but he explains that the fish's large teeth rule out most species under that umbrella. "It might be Bathyuroconger vicinus or Xenomystax congroides," he adds. "All three of these species occur off Texas and have large fang-like teeth. Too bad you can't clearly see the tip of the tail. That would differentiate between the ophichthid and the congrids." As for the creature's seemingly missing eyes, that's just desiccation at work. Fangtooth snake-eels have very small eyes to begin with (if you look closely, you can just make them out where the snout meets the head) – and as we've discussed before, those squishy tissues are the first to go when decomposition sets in. Sea squirt got your tongue? 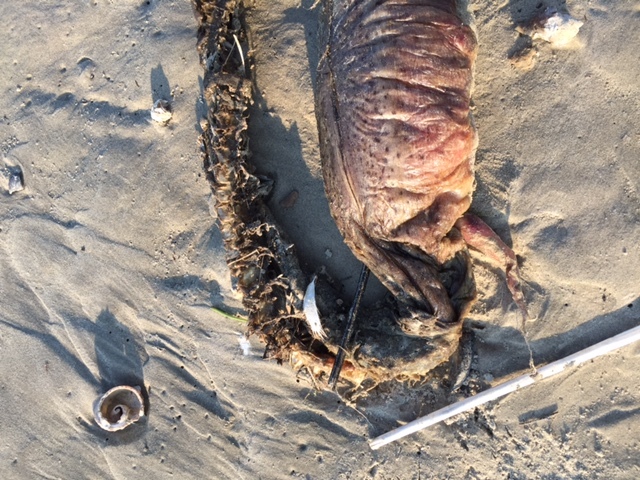 This strange, tongue-like creature turned up on an Australia beach recently. 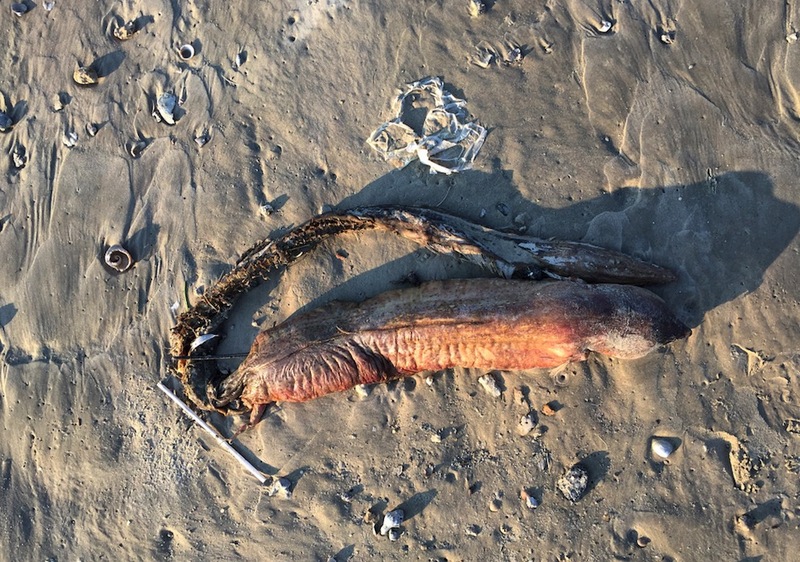 What is this crazy 'eel'? And where the heck are its eyes? Caught by fishermen off the Malaysian coast, this ghoulish fish might look like an eel, but it's likely something else entirely. Yes, there is a perfectly logical explanation for this creature's "alien" appearance.